If you’re searching for a cost-effective tree removal company then we’re the best pick for the job. There are fully of distinct trees in the residential and commercial Midrand areas, as well as in the streets. It is not a simple job to remove your own trees particularly when you lack the appropriate equipment to undertake such a task. Thus, tree fellers in Midrand can help do the job magnificently for you. By hiring our Midrand services, we can help you get rid of that damaged or diseased tree easily and in a safe manner. 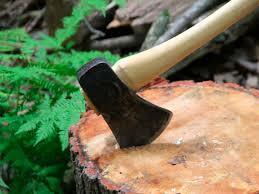 Our Midrand tree felling services use effective, modern equipment and all our specialists are well vetted. Our advanced tree removal equipment quickly cuts trees of all sizes down, without any damage to your residential or commercial property. We can also do tree shaping in Midrand as opposed to removing them. Other services that you can hire us for include urban site clearing, as well as root removal services and garden supplies. Don’t risk hiring inexperienced people for your tree-felling needs. Felling trees in Midrand calls for a reputable tree removal company. The experts will ensure that they don’t harm nearby trees as well as buildings. So get in touch with us through 087 551 0614 for the best tree felling Midrand wide.